How Much Exercise Does Your Dog Need In The Winter? Dogs require a healthy, balanced diet and exercise as much as humans. They need to stay active and constantly engaged in any activity. Sunny days can be the ideal day for a visit to the dog park, but cold weather can be challenging for having fun outdoors. Your dog requires the same amount of activity that it requires during summers. There are many ways you can go about it and keep the activity level similar. However, snow, blizzards heavy rains and harsh winds can be detrimental to the physical and mental health of your dog. Their paws can get severely bruised and damaged when they come in contact with snow, and they might lick the melting snow that contains harmful salts and chemicals. It is safe to say the severe weather is not for your dog, unless it is a husky and is designed to endure cold climates. A normal domesticated breed can easily get affected by the snow; for example, you dog may lose his sense of smell in the weather or develop eye complications. 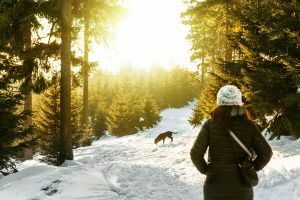 Dogs can notice even the minutest of changes in the environment and the gloomy winter can affect their mental and physical health if they are unable to get the exercise they need. 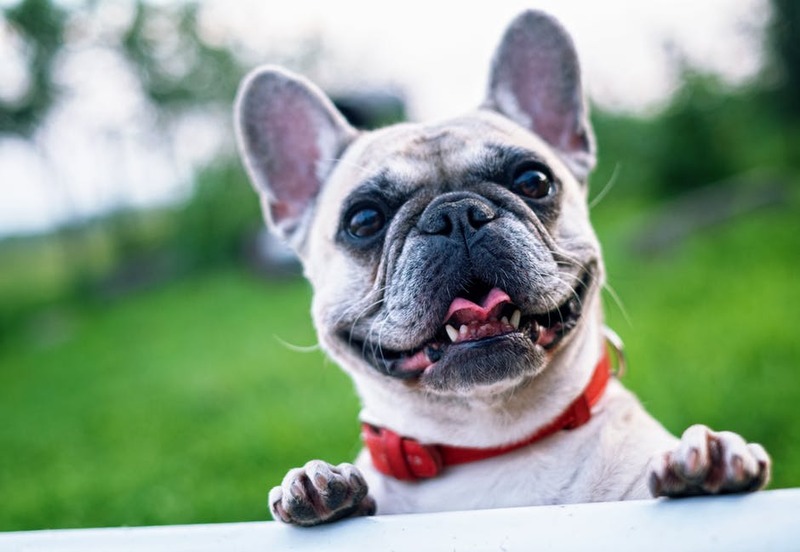 Dogs are brilliant Emotional support animals, they provide you with the support and understanding you need when your mind is in chaos, it is necessary that you invest time and consideration into their well-being. So what do you do to get adequate exercise for your dog? The exercise requirement of each breed is different, age and size will also affect the exercise he may require. Most vets recommend daily exercise at least for 45 minutes each day. Here are a few tips to help your dog stay active during winters. Indoor activities are a literal lifesaver during winters, you can incorporate tug-of-war or fetch indoors in a long corridor. Hide and seek is a great way of involving your dog in some physical activity, you can attach your dog’s favorite stuffed toy to a string and walk around the house while the dog chases it. These activities can make up much of the required time for exercise without facing the cold weather. During winters, stairs are your best friend if your dog does not have any medical condition and can climb stairs easily. You can run up and down the stairs, while they chase you or throw a ball up or down the stairs and play fetch. This is sure to get your dog excited and provide adequate exercise for it. Dog gyms are popping up everywhere; if you have one close to your house then you are in luck. These gyms have all the activities that are needed for your dog to keep up with the exercise requirements even during winters. They have temperature controlled dog parks, swimming pools and other activities that are sure to indulge your pet. As difficult and challenging this is it is necessary that your dog goes out to play. Dogs can develop cabin fever if they do not go outside to play. You can always take the right measures to ensure your dog is safe and happy when you go out in the snow. Take a towel with you and keep drying your dog’s paws throughout the trip, reduce the time to a maximum of thirty minutes, invest in some dog boots and also moisturize your dog’s feet as soon as you get home. Thoroughly drying your dog’s paws is also necessary for their health. Stay attentive and do not let them lick anything when out in the snow. As a dog owner, it is necessary that you understand the exercise requirements of your particular dog. You can always take a few tips from the vet to keep the exercise level constant during winters. Dogs require the same amount of exercise as they do in summers if not less. 1 So what do you do to get adequate exercise for your dog?